The term “Jam band” tends to conjure up a lot of stereotypes, but the truth is that every band needs to jam once in a while. And isn’t jamming what you want to hear anyway? A band that doesn’t jam isn’t worth your time. The band Leftover Salmon formed as a fluke in a mashup jam during one Colorado evening a few decades ago. They have their own genre of music that combines Bluegrass with Zydeco, among other diverse American sounds. They recently released a new album and Bill Payne, of Little Feat has joined the band. We caught up with Vince Herman, one of the band’s founding members, to find out what makes their fish fry. 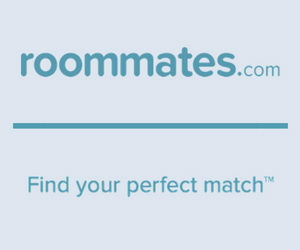 MAUITIME: You’ve been together and touring since the late 1980s. How did Leftover Salmon get its start? 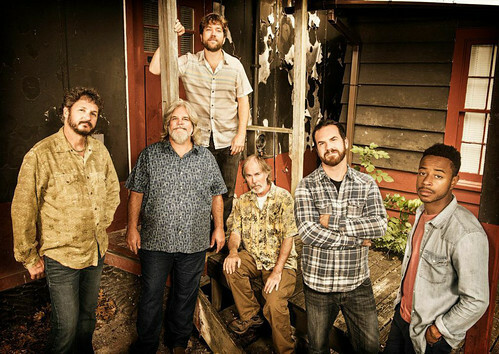 VINCE HERMAN: Leftover salmon formed 25 years ago for what we thought would be one gig. We had combined the Lefthand String Band and the Salmon Heads and came up with Leftover Salmon as our name for that one night. The gig went well and before we knew it we had a pile of gigs that wouldn’t quit. Had we known we would be doing this 25 years later, we certainly would have thought of a better name! MT: I’m surprised the name Leftover Salmon had nothing to do with food! You’re known for “Polyethnic Cajun Slamgrass,” a term your band coined. What does it mean? VH: We play music from many parts of the deep well of American music. Bluegrass, Cajun, funk, zydeco, Calypso, Reggae and blues all work their way into a night’s performance. Having grown up in Pittsburgh, I heard all kinds of ethnic music as a kid and wanted to reflect that diversity in our band. MT: Leftover Salmon has toured Maui before. How did that go? What do you like most about coming to Maui? VH: Having toured for 25 years, we are finally getting smart enough to come to Maui in the middle of winter! Maui has a great cast of characters to hang with, a devoted music crowd and one of the most beautiful settings in the world for loitering and waiting for the gig to start. I guess you could say it’s a no-brainer. Last year, while playing at Charley’s, all the power in town went out. The moon was full that night. There happened to be a tractor trailer in the back lot that sure did look like a stage waiting to happen. Fire jugglers lit the instant stage, along with the moon, and we had a great time out here until the power came back on. [Then we] went back inside, where we were joined by our friend Lucas Nelson for another set with power. It was an unforgettable evening and made us think we needed to try this trip to Maui again. We’re hoping that folks come out for the festival this week and have a great time again. MT: You recently recorded a new album. What do you like better–studio or stage? VH: While we enjoy making records, and have just released our latest–”High Country”–for us it’s really playing live that floats our boat. The recent addition of Little Feat’s Bill Payne to the band has made being on stage even more of an adventure. His musical vocabulary is ridiculously wide open and inventive, making it possible to take any song in a new direction at any time. That’s a lot of fun for us and the listeners. Bill is one of the most recorded piano players in rock and roll (James Taylor, Jimmy Buffett, Emmylou Harris and beyond) and it’s an immense honor to have him on the road with us. MT: How do you connect with fans when you’re not on stage? VH: You can check out some of our Polytethnic Cajun Slamgrass music at Leftoversalmon.com and all over the interweb thing that’s floating down from the sky all around us. Here’s to clean water blue skies and the cast of characters that make Maui a great place for music.